We are engaged in manufacturing high quality Nickel Alloy Tubes in different shapes and sizes. Made up of premium Nickel Alloy materials, our Nickel Alloy Tubes are highly efficient due to which, these are in huge demand in the national and international markets. To cater to the diverse needs of the clients, we provide the Nickel Alloy Tubes in diverse sizes & specifications. To ensure that only flawless Nickel Alloy Tubes reach the buyers, we carry out strict quality-tests before the final dispatch. 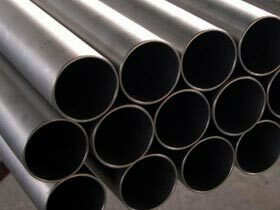 We hold the expertise of delivering bulk orders of the Tubes within the stipulated time. The entire range of the Tubes is reasonably priced by us.